Please select options for Rugged Ridge Spartacus Winch Plate - Steel (07-18 Jeep Wrangler JK) at the top of this page. Winch Ready. Get ready for recovery with the Rugged Ridge Spartacus Winch Plate. Specifically designed for use with Spartacus Stamped Steel Bumpers, this winch plate comes ready for installation. Able to accommodate most winches on today's market, this plate ensures you'll have a stable mount for the upper hand in recovery. Installation. This Wrangler winch mount is a direct bolt on and includes all the necessary hardware for installation. 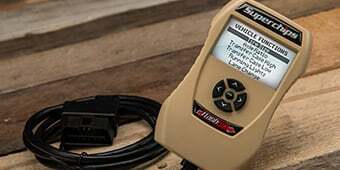 Those with 2012 and newer models will need to relocate the factory vacuum pump in order to complete installation. Warranty. Rugged Ridge backs this winch plate with a five year limited warranty for reliable performance and quality. Application. The Rugged Ridge Spartacus Winch Plate is designed specifically for use on Spartacus Front Bumpers found on 2007-2018 Jeep Wrangler JK models. 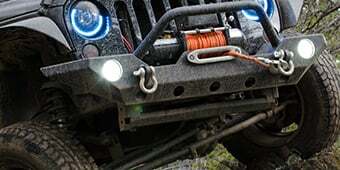 Would this work with the Mopar bumper on the 2018 Jeep JKU Freedom Edition? 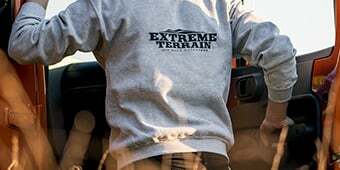 The Rugged Ridge Spartacus Winch Plate is designed specifically for use on Spartacus Front Bumpers found on 2007-2018 Jeep Wrangler JKmodels. Does this fit a JK Rubicon 10th Anniversary / Hard Rock Bumper? Even better, what JK bumper types will this fit out of the box? 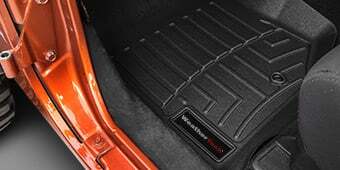 The Rugged Ridge Spartacus Winch Plate is designed specifically for use on Spartacus Front Bumpers found on 2007-2018 Jeep Wrangler JK and JL Unlimited models only. What winch can I get with this plate? What winche can I get with this plate? What range of winches will work with the Spartacus bumper and this winch plate? 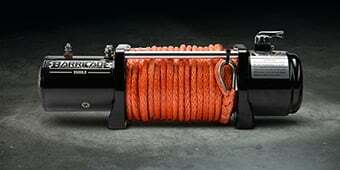 Is a 10K winch the largest? Hello! We also offer 12.5K winches that will fit with this winch plate! The instructions to install are terrible. It dosen't tell you how to mount the vacuum pump. The factory bumper does not fit on the new plate. You need to fabricate some spacers to reinstall the bumper. The winch flarehead is not centered on the bumper. There is nowere to put the license plate. Not very well thought out product. 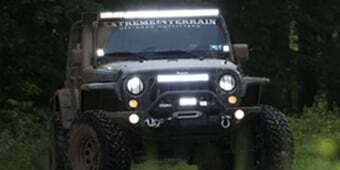 I bought the Spartacus bumper from Extreme and showed up. I had assumed it had the winch plate included, but not. The instructions for the bumper are terrible. I mis-read the step where it said NOT to cut off the vacuum pump mount. So I cut it off thinking it was required. Well, if you are not installing the winch, dont cut it off. I ended up ordering the plate to re-install the vacuum pump. I thought what a waste.. i was wrong. The plate is super heavy gauge and worth its price. 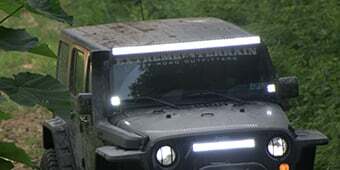 I think it tightens up the safety as well on the front end even if you dont install a winch. Mistake on my part, but happy I have it installed.